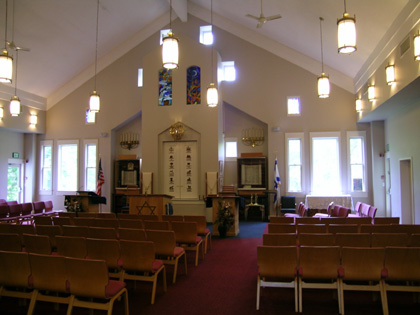 Over its quarter century in business, Halpern Architects has provided services on a wide range of building types, with the support of congregations and religious institutions being one of the most frequently occurring project types within our portfolio. At Halpern Architects, we understand that religious leaders and their congregations sometimes need assistance addressing architectural and facility planning issues. Whether it’s an appreciation of the opportunities and potential associated with their existing architectural resources; accommodating the needs for more worship, classroom or support space; implementing liturgical changes; strategic and long-term planning for the future; developing and assessing long and short-term maintenance and repair strategies, improving energy efficiency, code compliance, and/or sustainability, or simply budgeting for fund raising; Regardless of how large or small your congregation’s needs may be, Halpern Architects can assist you in successfully accomplishing your objectives. Located on secluded site off Hidden Valley Road, this 1993 project consisted of the adaptation and substantial expansion of a 4400 sq. ft., 1970’s era, earth sheltered house to create a 5,500 sq. ft. synagogue and religious school building. Halpern Architects assisted the building committee and congregation in establishing short and long term goals for their facility. Using those goals as a guideline, Halpern Architects was able to develop a feasibility study which allowed the congregation to prioritize and select the work to be performed within their budget. Halpern Architects was then commissioned to prepare construction documents for the new building which included a new sanctuary, classrooms, offices and a kitchen. After 20 years of growth, Congregation Kol Shalom once again returned to Halpern Architects to assist with an expansion process. Halpern Architects assisted in a strategic planning process, which allowed the congregation to explore whether to expand on site or relocate to a new facility. 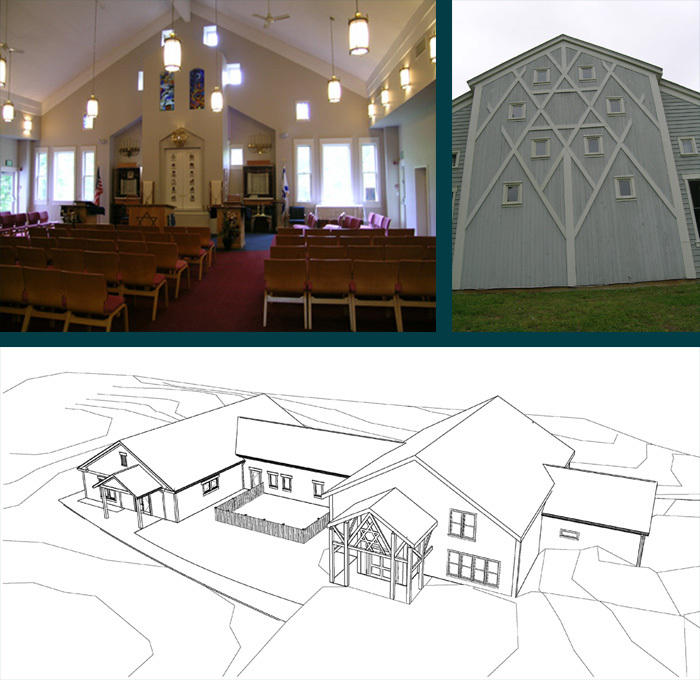 Halpern Architects assisted in evaluating the suitability of existing structures being considered for the congregation’s purposes, evaluating the maximum extent of expansion that could occur on their existing site, and then assisted in narrowing their project goals to meet their mid-term needs. It was concluded to expand the existing building at their current location. Included in this process was an assessment of the condition of the existing building and identification of long term and deferred maintenance items which strategically were included within the project scope. Working within the tight project schedule, Halpern Architects has completed construction documents. The project is scheduled for completion by September 2014. St. Anne’s Episcopal Church is on Church Circle in the heart of Annapolis’s historic district. The Rectory and Parish House for the congregation are in a pair of separate buildings located down the street. Halpern Architects assisted the congregation of St. Anne’s to restore the historic Rectory, and upgrade the Parish house. The project included improving existing meeting rooms, and rehearsal spaces, providing Sunday school classrooms, adapting classrooms to a pre-school. 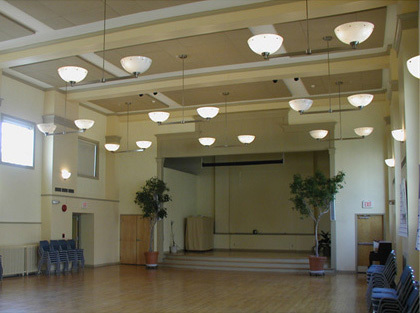 Halpern Architects designed the conversion of an existing gymnasium into a multi-purpose assembly room suitable for parties, lectures, recitals and receptions. Substantial material conservation work was undertaken on the exterior of the older portions of the buildings including restoring failing building components such as windows, flashing, and other roofing materials. The project scope also included a focus on addressing code compliance, energy efficiency improvements, and accessibility requirements. In a later project, Halpern Architects prepared a conditions assessment and “restoration procedure manual” for the original historic 19th century Rectory. Halpern Architects has provided services for Iglesia Hispana Emmanuel Church on a number of projects. Initially, Halpern Architects was retained to evaluate the church’s then current site for future expansion capabilities. After determining that their site could not support the church’s long term objectives the property was sold and a new property purchased. Halpern Architects was then retained to assist with code compliance issues and to evaluate other expansion opportunities. Lion’s Den originally hired Halpern Architects to assist with minor improvements to their existing facility. Later, Halpern Architects was hired on a consulting basis to comment on the feasibility of creating a new facility on a site that the church was considering. Halpern Architects entered and won the design competition to design a new facility for Eastport Yacht Club. Working with the City of Annapolis, Halpern Architects successfully negotiated a series of administrative variances that allowed an expanded footprint on this critical area site. Coordinating the objectives of a successive collection of steering committees, Halpern Architects created a design that was intended to fit the context of the historic waterfront of Annapolis, meet the needs and goals of the membership, take fullest advantage of the views and the site features, address the critical area laws, provide an efficient floor plan that allowed for future growth, and to do this on a very tight budget.